This spacious home has great potential for contractors, investors or buyer ready, willing & able to engage in a custom-design project. This 10-room split level home with two-car garage is situated on a private one-acre lot. 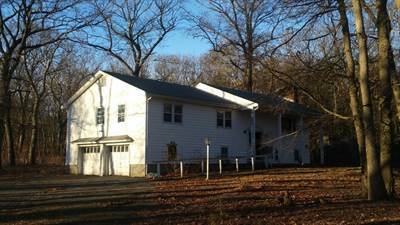 Needs some TLC in throughout the interior that includes five bedrooms, two fireplaces, 2.5 bathrooms, enclosed four-season porch, private well and private septic system. The home is vacant and the asking price is negotiable.